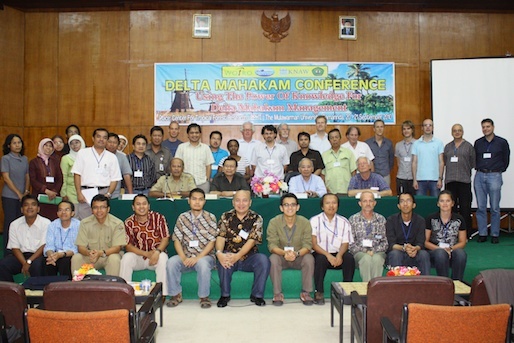 After our first meeting in Texel in 2009 our second meeting was in Samarinda, Indonesia. The university of Samarinda (UNMUL) hosted the meeting and in 2 days we were updated of the outcomes the 15 WOTRO/ KNAW Phd projects that are now running in the Mahakam and Berau river Delta, including my project. The projects within the East Kalimantan program are very diverse ranging from geological, GIS, physical geography, to ecology, social and law. 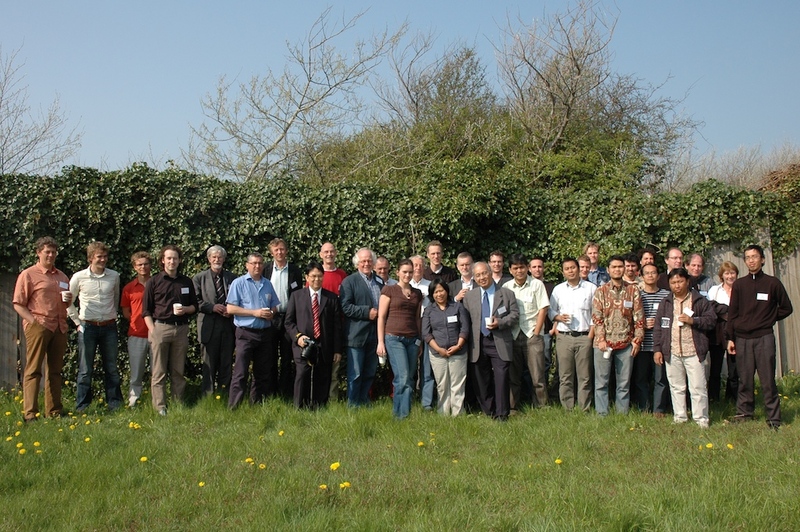 Many local NGO’ and scientists joined the meeting making it an interactive meeting. And the end of the second day Irfan Cibaj (Total) took us to a very interesting outcrop were he showed us the history of the previous delta in 70 meters of delta deposits. We even learned that there were once hard corals in the Mahakam delta, and that this delta is one in a series of ±30 delta’s that are situated on top of eachother. That puts a the human lifespan into perspective. On the 3rd day a big boat was arranged to travel downstream to show us the apex of the Mahakam rivers and the fluvial and tidal channels that transport the water out and into the delta respectivily. Duddy demonstrated and collected some sediment samples. 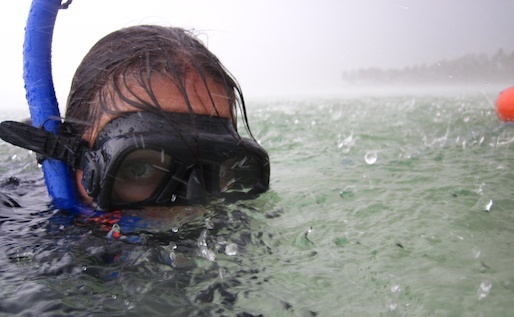 We closed with a delicious Indonesian diner at Mesra Hotel and I travelled to Derawan Island for 2 days of fieldwork (heavy rain see pic). It was my shortest trip to Indonesia ever. Thanx Retno Wulandari for the picture above!